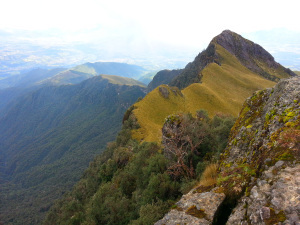 Illiniza North (5126m/16817ft) is the eighth highest in Ecuador. Prehistorically, they were one volcano, but today the two peaks are separated by a saddle of about 1km and less than one mile in width. 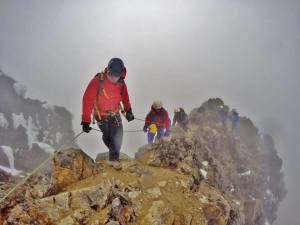 Both peaks offer some of the more enjoyable climbing in Ecuador and in South America. 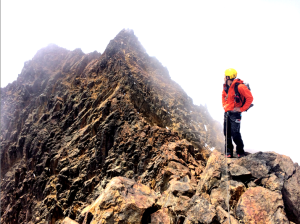 For the experienced hiker or soft climber, the North peak is a truly fun climb with some heart-stopping scrambles thrown in. Our adventure begins in the city of Quito at 6am; it’s an hour long drive to the parking lot called “La Virgen” (3,900m) where we will start our ascension. 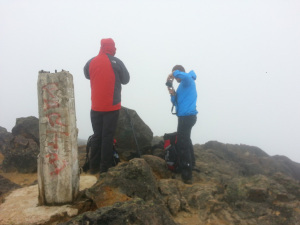 It will take us about 4 to 6 hours to climb to the summit and we will have to pass some difficult paths on the way. After taking many pictures of the breathtaking landscapes we will head back down to the parking lot where our private transportation will be waiting. Back to Quito. Carihuayrazo is often chosen as an acclimatization climb. Being snow-capped, it offers good possibilities to practice the use of glacier equipment. But there is more about this mountain: It’s situated about 140 kilometers south of Quito and climbing this mountain, you can admire its bigger brother, the Chimborazo, which can be found a bit further in the south. Since there is no refuge we’ll spend the night before the ascent in tents. 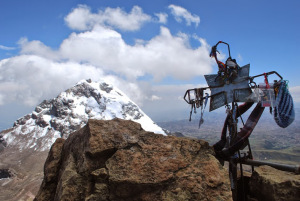 You can combine the ascent of this mountain with a visit of the famous Laguna de Cuicocha. 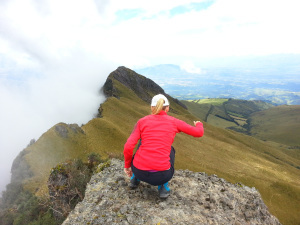 South of Quito you find this extinct volcano, that derives its name from the shape of the northwestern flank, which, seen from the distance, resembles a heart. Pichincha is an active stratovolcano in the country of Ecuador, whose c apital Quito wraps around its eastern slopes. The two highest peaks of the mountain are wawa Pichincha (Kichwa wawa child, baby / small, hispanicized spelling Guagua Pichincha) (4,784 metres (15,696 ft)) and Ruku Pichincha (Kichwa ruku old person hispanicized Rucu Pichincha) (4,698 metres (15,413 ft)). 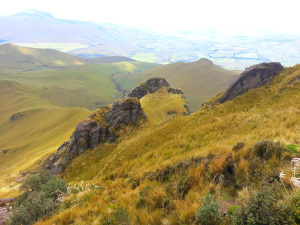 The active caldera is in Wawa Pichincha on the western side of the mountain. 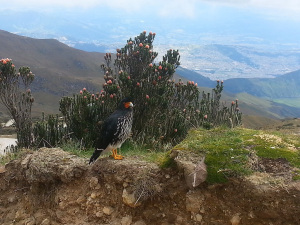 Being very close to Quito, Pichincha can be climbed in one day. During all the climb you have a splendid view on the capital. 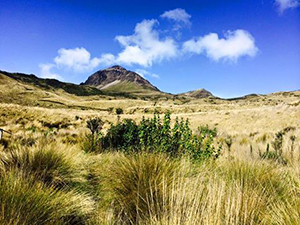 Situated in the Cotopaxi National Park you can enjoy nice views on the protected area, including the Cotopaxi itself of course. In the north of the country, near Otavalo and the San Pablo Lake you find this extinct volcano, which is subject of a lot of indigenous legends.